A view to the famous Stradun street in Dubrovnik. On the left, the Orlando Column. 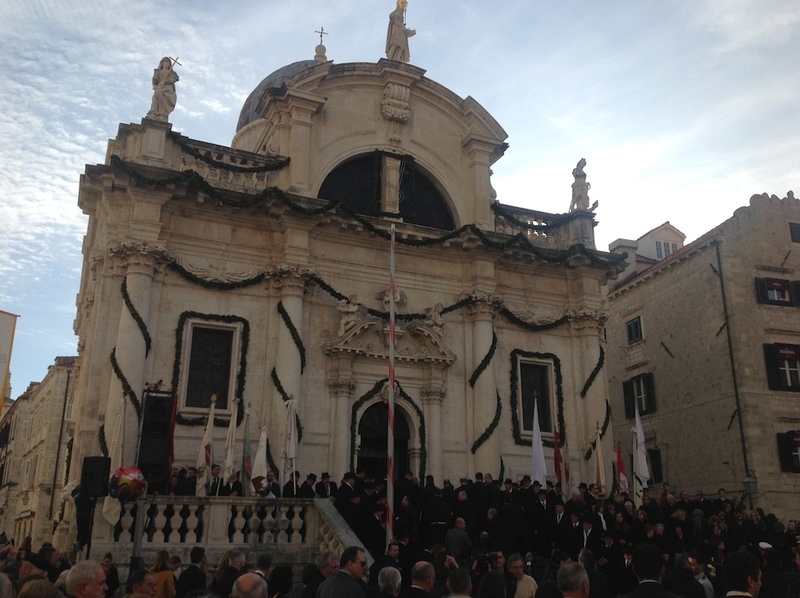 On the 3rd of February of 2016, the city of Dubrovnik celebrated the Feast of its protector, Sveti Vlaho (St. Blaise). The celebration is organized each year at this date for more than a thosand years, more specifically, for 1044 years. 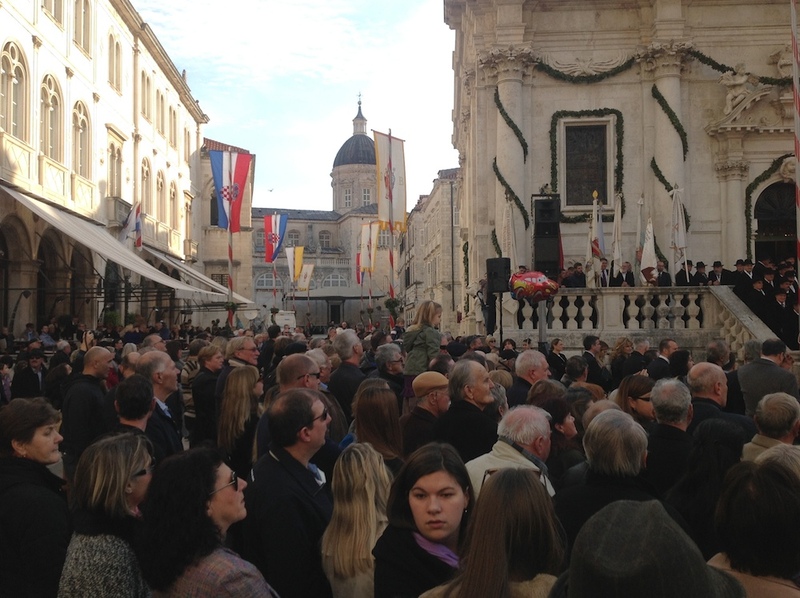 The Holy Mass was celebrated by the Sarajevo Cardinal Vinko Puljić, who was the official envoy of Pope Francis. Thirty archbishops and bishops concelebrated, among them Blaise (sic!) Cupich, archbishop of Chicago, who is of Croatian origin, as well as around a hundred priests. 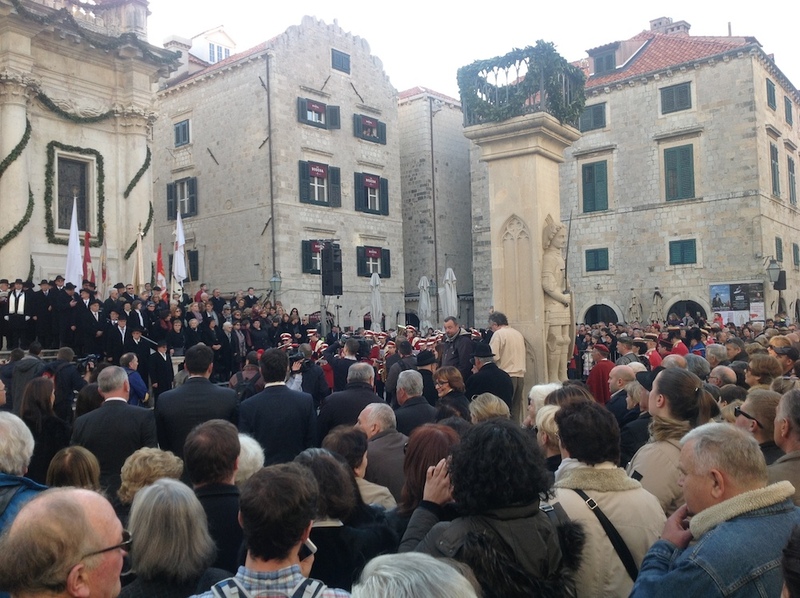 In 2016, the city of Dubrovnik (or Ragusa) celebrated another important event, namely, 600 years since the abolishemnt of the slave trade, in 1416. For comparison, the slave trade in Great Britain and in the USA was abandoned only four centuries later, that is, in the 19th century. The celebration in 2016 also marked 1700 years since the martyrdom of Sveti Vlaho (St. Blaise) in 316, who is an Armenian saint. 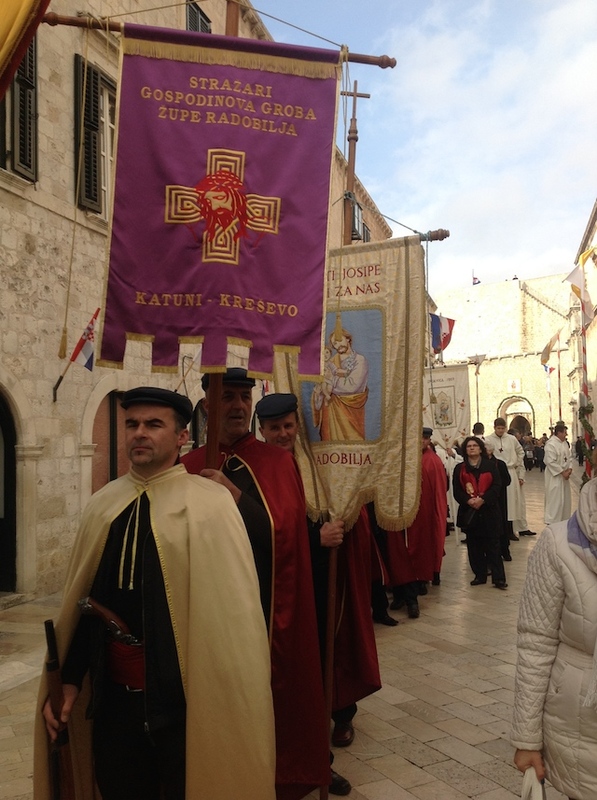 For this reason, the Feast of Sveti Vlaho was attended by Armenian archbishop Kegham Katcherian, envoy of the Armenian Catholicos, upon the invitation of the Dubrovnik bishop Mate Uzinić. 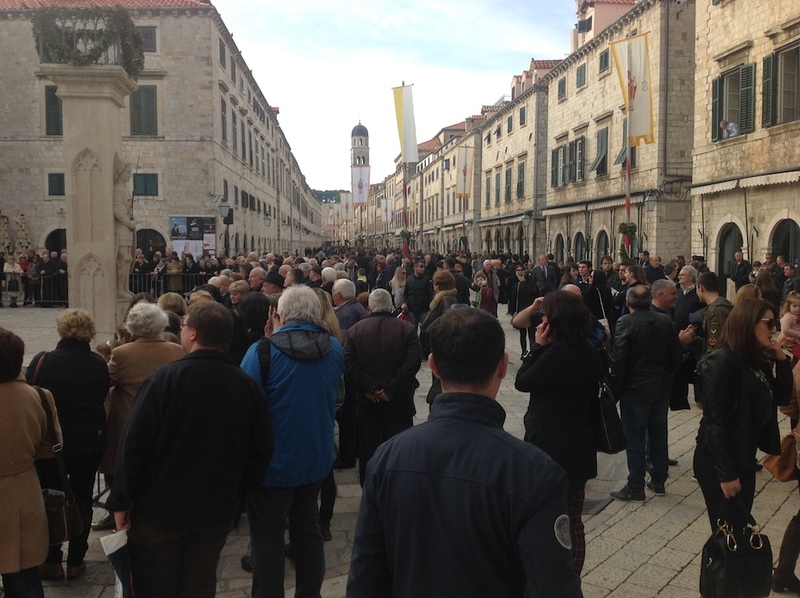 Among thosands of guests in Dubrovnik, the Mass was attended by Mrs. Kolinda Grabar Kitarović, the President of the Republic of Croatia. 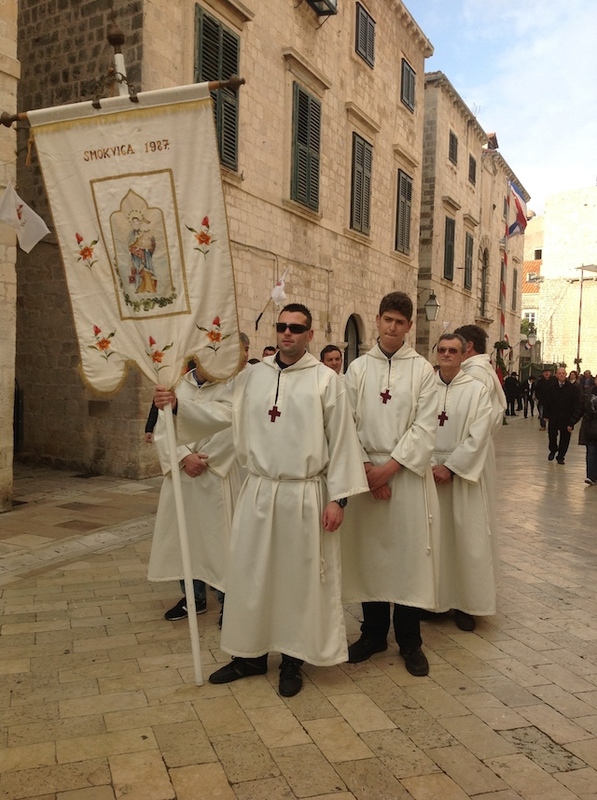 On Page 11 of this rather long presentation, please find several videos related to the Days of Sveti Vlaho (St Blaise) in Dubrovnik. All the photos, unless otherwise indicated, are due to the second author, Darko Žubrinić, Zagreb. 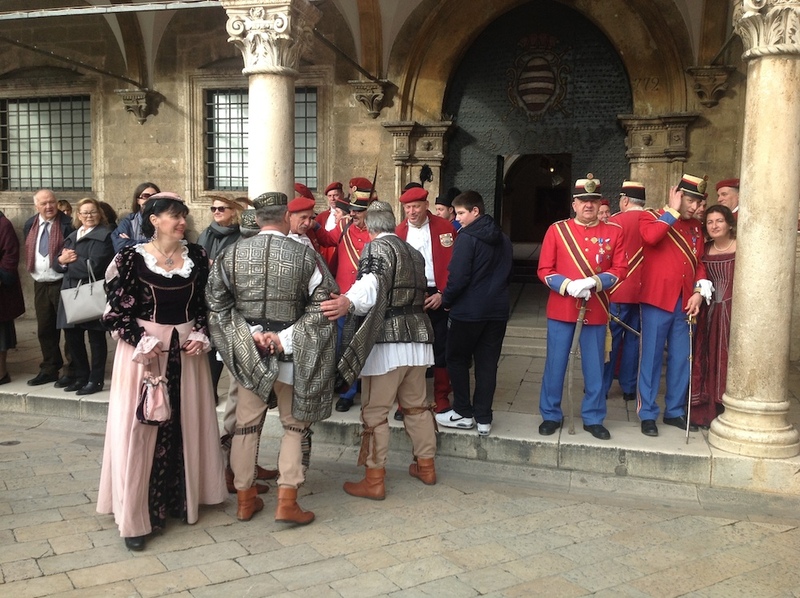 In front of the Sponza Palace in Dubrovnik. 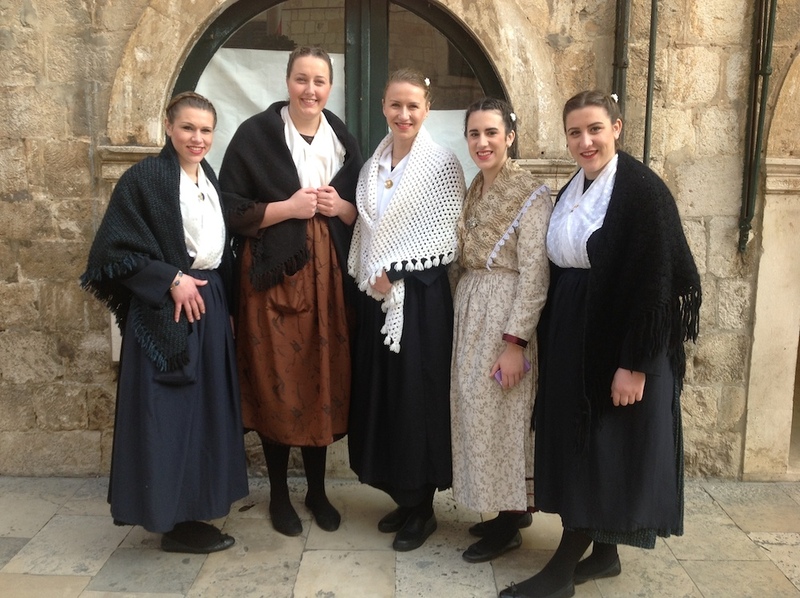 In silver dresses, the Arhcers from the island of Rab, Croatia. 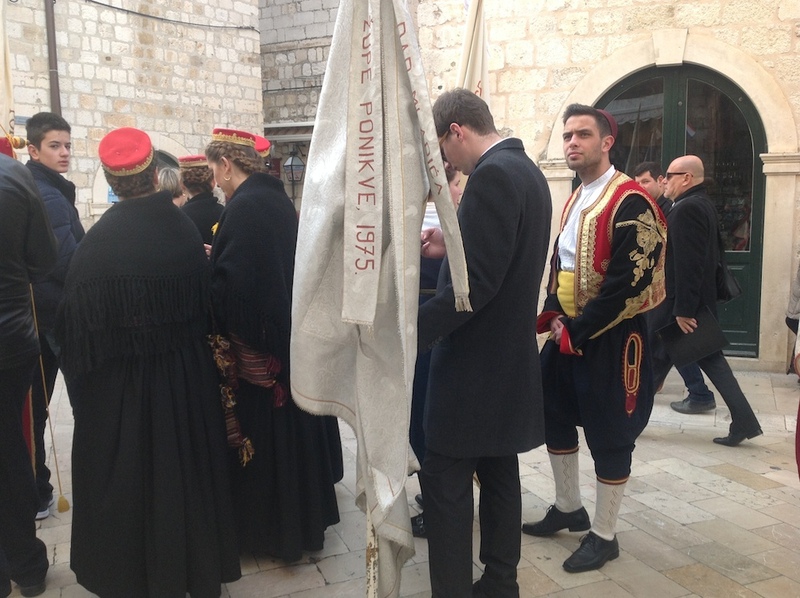 Children from the environs of Dubrovnik participating the Feast of Sveti Vlaho (St Blaise). 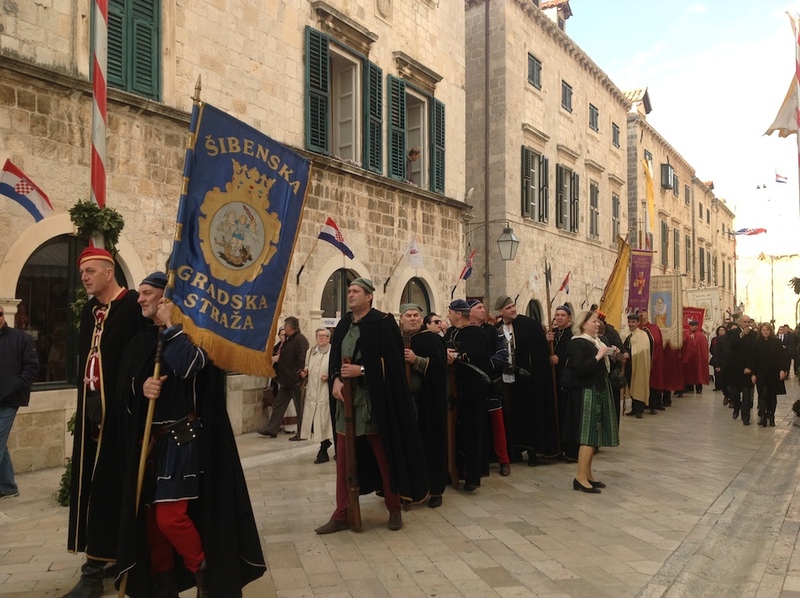 Photo by the courtesy of Najka Mirković, Dubrovnik. In front of the Sveti Vlaho (St Blaise) church; on the right - Orlando's Column. The Church of Sveti Vlaho (St Blaise). The Dubrovnik Cathedral between Rector's Palace on the left and the Church of Sveti Vlaho on the right. 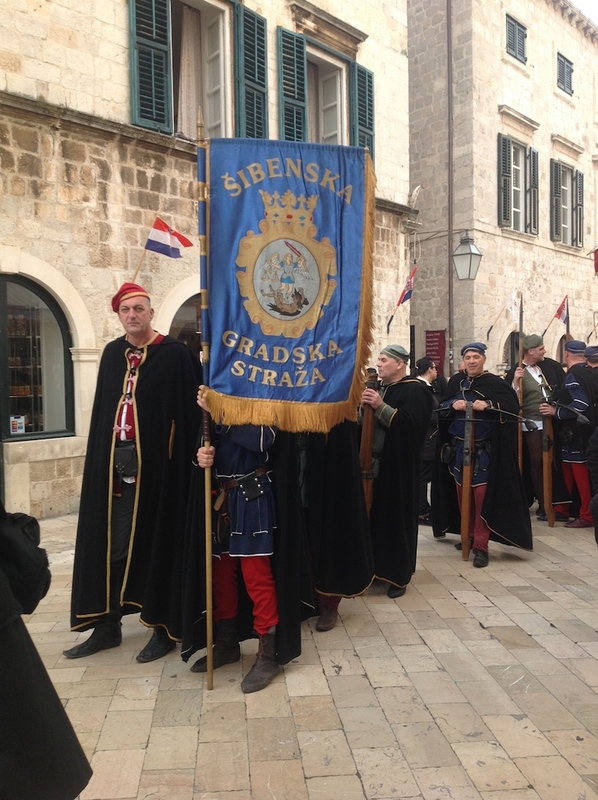 Croatian confraternities aligning along the Stradun street. Confraternity from Kreševo in central Bosnia in B&H. 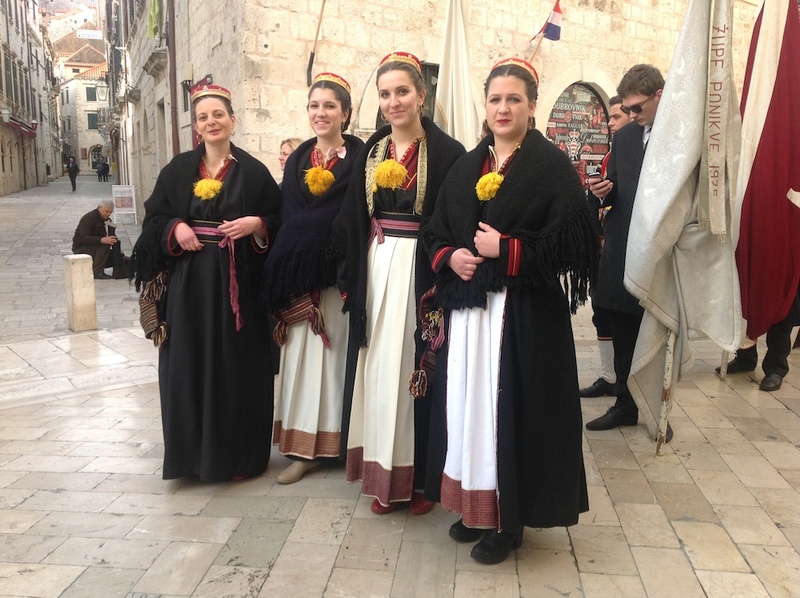 Fantastic Croatian national costumes from the Konavle region near Dubrovnik. Their caps reveal that they are unmarried girls or young women. These beautiful dresses are worn only on special occasions, like for the Feast of Sveti Vlaho (St Blaise). Please, go to Page 2 below.